Finding out where to talk about Destiny 2 is like trying to figure out where to dive into the actual lore. The run of Destiny is a multifaceted thing that has been so weighted down in my own self that it even seems to hide itself. Lore is one thing that will be many things but can not be anything but seemingly far beyond reach from which players want to understand. There is no weaving of Destiny's universe that seems completely consistent. Instead, the lion seems to phase in and out of itself as the game mechanics are being implemented. There is one thing that does not know where it belongs to being right in front of the player or a very own plane where you search outside sources. It's like trying to write a dissertation; which means a huge amount of dedication to the matter while pulling out more sources, which simply is not fun. Destiny the universe has been complicated since day one. Those who have stuck with the game since the beginning know that the original story (like many games) was even rewritten. It is a universe of science fiction mixed with magic. A universe that houses undead space warriors protects a last city. A universe where cosmic dragons were hunted for extinction. A universe where several foreign empires rose and fell to something called "darkness." All in all … nobody seems to be important because it has become a kind of window dress for the game itself. It's a shame because there are some generally good things in the Destiny universe. Instead, it stretches even thinner, explains things while explaining nothing and leaves the players with more questions than when they first arrived. 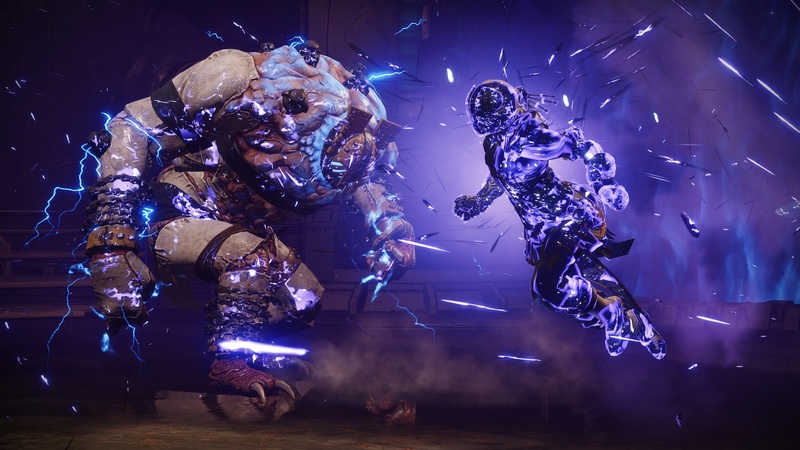 This can be seen sharply in the last release of Forsaken, where Prince Uldren of the Awoken apparently comes back to seek revenge on The Last City and its Vanguard of Protectors. He talks about sowing course ultimately through the galaxy, which tells the Barons to "cause chaos". It's a pity this falls immediately flat because he's being manipulated by what seems to be strong visions of the sister "The Queen", which only gets weaker as history evolves. Instead, the wool has been fooled by a giant space Gorgon who comes out of the left field, and knocks down any player who cares about the lore right in the face. Bungie started strong with what would be in their words "An enemy player could also put a face" and instead be met at the end of a floating mass of gunk that has little or no real weight on games. Oh … cool, another dull monster to shoot. Instead of a big stand between the Wool and the player, Bungie could not think of how to implement a simple duel. Let's at least give chase, but no, let's just fill this end with something that's rushed without having any connection with what exactly the monster is. Instead, players are told that there are things in the universe "dark things" yet to be discovered that the guards have certainly called in to kill the wolves. The entire performance of the Forsaken Bungie talked about how the wool would be a villain worth seeking revenge, but as many revenge stories it proves to be effortless. Instead, the wool is made to be subjected to manipulation, and the revenge sought to call such a hole as the shellhouse falls to the ground from the weapon as the Guardian allegedly fires . 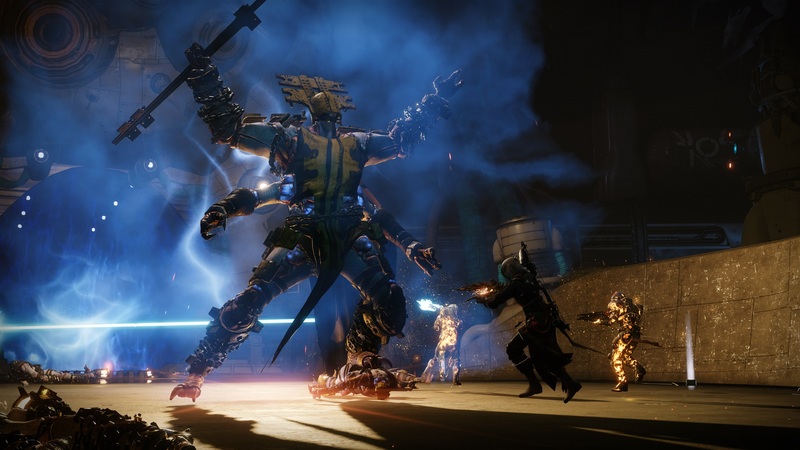 Now players are left with some new things to fight with who have no connection unless of course reading into the triumphs that the game now offers. Unfortunately, many a player will never see them because at the end of a play session they just do not care. Even for someone who likes to read, Destiny becomes a bit much to be so full of self-follow-up is as meaningless as seeking revenge for Caye's death. Nobody wants to read a book while playing a game, doing two things at once is hard enough, but if a developer is going to do that, he mixes it in a way that is right to the point and does not leave away to the player just to shrubs to say, "I suppose we find out?" The end of such useless questions leaves a bitter taste in the mouth. On this point it is difficult to see that Bungie is able to turn the ship when it comes to Destiny. They have not yet found that sweet place, and it seems to be longer with every new release of content. While the focus on game mechanics has become tight, storyboarding will be left on the backboard, and all imaginable ideas thrown on the wall will do something in the pot. Players are left with a stew that has too much going on right away, so the flavors of the game are mixed in a way that tastes like nothing but a bad broth that is very overcooked.